As a proud local Raleigh security company, we at Iwatch are often called by customers to solve security problems other companies caused. These problems are often linked to sub-standard and sub-optimized security plans that had been set up by previous companies in the interests of time saving as opposed to making sure the customer’s house is well-protected. As a local business whose staff are all members of the Raleigh community, when there is a break-in it could very well be one of our neighbors. This gives us even more incentive to get our customers the right security systems in Raleigh. We do not just install a simple out of the package system and call it day. We will first come and do either an in-home consultation or a consultation over Skype or FaceTime. We believe that this will give us the perspective needed to guarantee you the best security options and perspectives available. 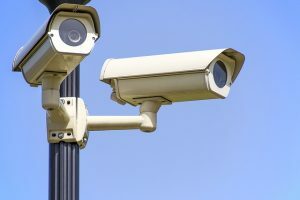 By offering the best security systems in Raleigh and customizing them for your unique needs we believe we keep our community safe, 24 hours a day. Our central office’s location enables us to quickly and efficiently maintain, repair, or install security systems in Raleigh, but we consider this much more than just a business bonus. We also believe that our location and status as community members gives us an edge over other companies, since we understand and care about the unique challenges faced by our neighbors and it directly affects us when break-ins or other crimes happen. To avoid this outcome, we will meet with our clients and explain the strengths and weaknesses of the system that is best-suited to meeting their security needs. What Kind Of Raleigh Security Services Do You Offer? All of our security systems are equipped with a dedicated connection. This means we are faced with little to no connection interruptions and service requests, leaving you as safe as possible at all times. Our interactive security systems are also equipped with a state-of-the-art two-way voice feature and a remote door lock control, resulting in optimal convenience and accessibility. Technology is great, but, unfortunately, it can malfunction from time-to-time. One thing that really sets us apart from both local and national competitors is the ‘Crash & Smash’ detection technology we utilize. Rather than fear the instance of a false alarm reduction, we implement this technology for a reason: to rest assured that if a ‘Crash & Smash’ attack were to happen, the central station will still be notified immediately just like they would be in the event of an actual break-in. Rather than work with a different and less personalized security system that offers the same run-of-the-mill packages and built-in entry delay, learn more about what Iwatch you offer you from a security standpoint. Most security systems have built-in entry delays and alarm reporting delays to ensure that customers have adequate time to disarm their systems upon entering their property before an alarm is tripped and an alarm signal is sent to the central station. This functionality is critical to reducing the incidence of false alarms and unneeded emergency responses. Unfortunately, these delays give intruders more time to locate and destroy the security panel, also referred to as a ‘Crash & Smash’ incident. Iwatch Security ‘Crash & Smash’ detection works during the Dialer Delay also, so the property remains protected even if an intruder were to circumvent the entry delay doors and find a different way into the home. As soon as the security system goes into alarm state, a ‘Pending Alarm’ signal is transmitted to Iwatch Security and can be routed to the central station, even if an ‘Alarm’ message is not received shorty after due to panel damage. Contact your Raleigh Security System Provider Today! We know that choosing a security system in Raleigh can be a daunting prospect with so many competing companies involved, all offering different systems and contracts. This is where Iwatch Security comes in. Unlike those other companies we will meet with you, explain what options work with your budget, and create a unique security plan for you that doesn’t involve restrictive contracts or generalized security plans. We believe that this care and attention is one of the reasons that 95% of the potential customers with whom we meet end up choosing Iwatch Security over the competition. If you are in the market for a new or upgraded security system, contact us today for a free quote, fill out the form below, or call us at 919-957-9818!